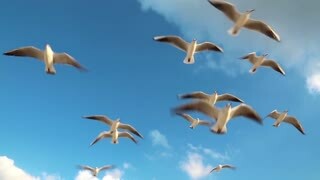 Seagulls fly over the sea. Slow motion. 240 fps. Seagulls fly over the sea. Slow Motion. Seagulls in the sky opposite to an arbor. Shooting in the winter. Slow motion. Seagulls albatross in the rays of light. Islands Far East Marine Reserve, Primorsky Krai Vladivostok Russia. Unique National park Japan Sea. Aerial Helicopter Drone. Early morning yellow sun. Birds flying over the waves and dark blue ocean water at sunset with large silhouetted rock cliffs in the background. 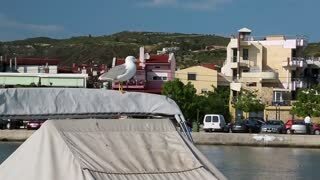 Seagulls on the seashore. Slow motion. Seagulls and stones. Slow motion. Seagulls and sea. Slow motion. Galapagos tourist taking pictures of Waved Albatross on Espanola Island, The Galapagos Islands. Wildlife photographer and ornithologist photographing the Galapagos Albatross. Galapagos Albratross aka Waved albatrosses mating dance courtship ritual on Espanola Island, Galapagos Islands, Ecuador. The Waved Albatross is an critically endangered species endemic to Galapagos. Galapagos Alabatross aka Waved albatrosses mating dance courtship ritual on Espanola Island, Galapagos Islands, Ecuador. The Waved Albatross is an critically endangered species endemic to Galapagos. Galapagos Alabatross aka Waved albatrosses mating dance courtship ritual on Espanola Island, Galapagos Islands, Ecuador. Group of Waved Albatross - an endangered species endemic to Galapagos. Albatross mating ritual in the Galapagos Islands. 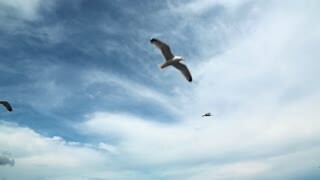 Close-up shot of a Seagull gliding flying in the sky from a boat in the sea. Italy. Two Wandering Albatross adults preening each other in front of a research base in the sub antarctic.